Designed to handle sRGB graphics projects with confidence, the LED-backlit P243W, a 24” widescreen monitor that is ideal for web, high-end desktop and photography applications. This model utilizes an IPS panel for great imaging performance. Offering 99.8% coverage of sRGB color gamut and 73.1% of NTSC, the P243W provides professional-grade benefits, such as an internal 14-bit 3D programmable lookup tables (LUTs), DisplayPort connectivity and built-in USB hub. 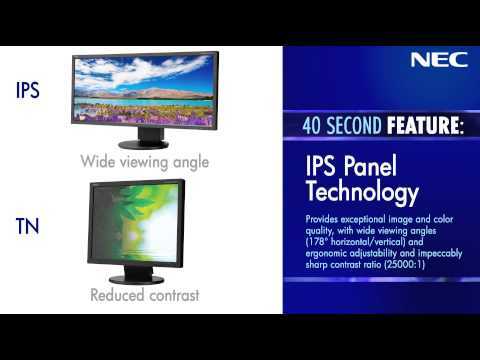 Panel Technology IPS Viewable Image Size 24.1 "
11.9 lbs. / 5.4 kg. Delivers virtually uninterrupted, undistorted viewing of high-speed, full-motion video. Delivers wide viewing angles of up to 176º horizontally and vertically (up to 88º up, down, left and right) without any glare, reflection or distortion. Internal 14-bit programmable 3D lookup tables (LUTs) allow the display of 1.07 billion colors out of a palette of 4.3 trillion (with 10-bit DisplayPort input) for accurate color, smooth images and hardware calibration. 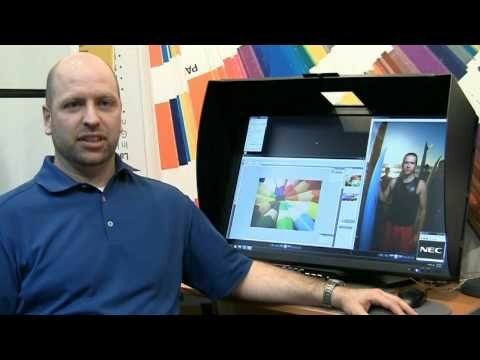 Allows for precise and simplified color, color temperature and saturation adjustment. Automatically adjusts the backlight depending on the brightness of ambient lighting conditions. It also tells the monitor to enter power saving mode whenever the ambient lighting falls below a predetermined value (like when lights are shut off at the end of the day), which can significantly reduce energy consumption. Allows up to four inputs (DisplayPort, VGA and two DVI-D) to be connected to a single monitor and for each of the four signals to be displayed with the press of a button. Equalizes the video signal to eliminate color halos on long cable runs. Reduces screen uniformity errors and compensates for differences in color/grayscale and luminance using new signal processing circuitry. Allows two sources to be displayed on the screen at one time in either a picture-in-picture or side-by-side configuration. 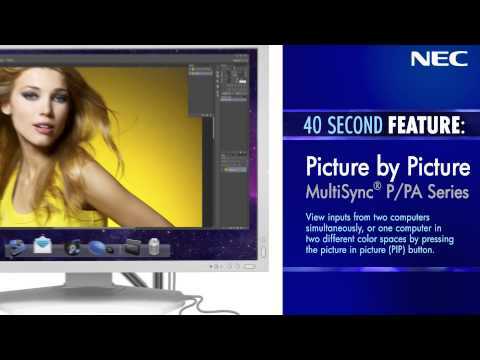 NEC's latest release of the MultiSync EA271Q and MultiSync P243W is featured. 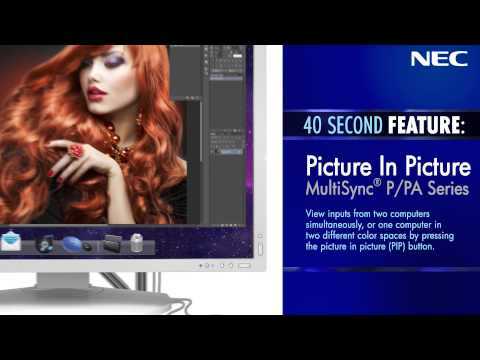 Coverage on NEC's launch of MultiSync EA271Q and MultiSync P243W.